Have you ever wondered why you are here? Have you struggled to find your true path? 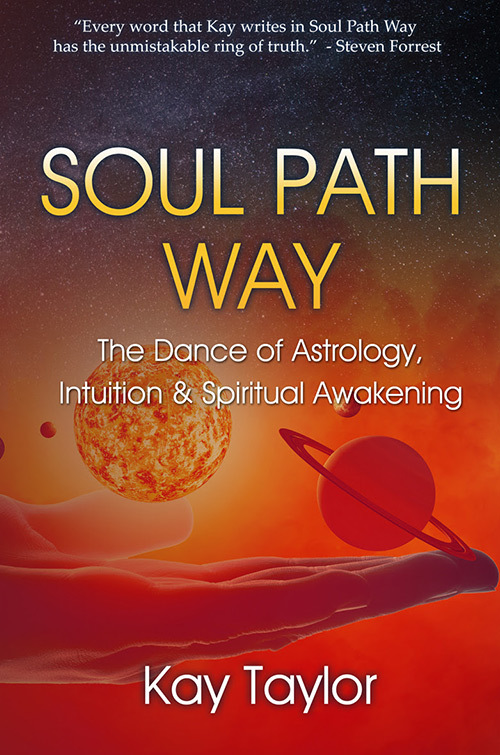 Soul Path Way can jump-start your journey. This practical manual for soulful living is an invitation to uncover your true nature, develop intentions that align with your heart’s desires, and gently release barriers so that you can live an authentic life. Beloved intuitive and teacher Kay Taylor shares wisdom gained from years of working with clients and students that reflects her diverse and unique toolkit. She breaks down profound astrological concepts into easy-to-apply insights. She shares an abundance of meditation practices and guided healing journeys to help you break through emotional and mental obstacles. You’ll find a wealth of grounded wisdom here to help you discover the joy of awakening. In a step-by-step process of transformational inner reflections, you will learn how to develop your natural intuition, explore nuanced principles of co-creation, and heal your life through the four pillars of body, mind, emotions and spiritual connection. As you cultivate the balance between intention, action and surrender, you will release the joy of your unique life map.